The Times of Israel reports: A Palestinian terrorist stabbed three Israeli men after entering the West Bank settlement of Adam, northeast of Jerusalem, on Thursday night, the IDF said. Magen David Adom medics treated a 31-year-old man who was critically injured, another 58-year-old man who was in serious condition, and a third male victim who was lightly injured. The terrorist was shot dead at the scene, the IDF said. A spokesman for the Binyamin Regional Council said he was shot by the lightly wounded victim. 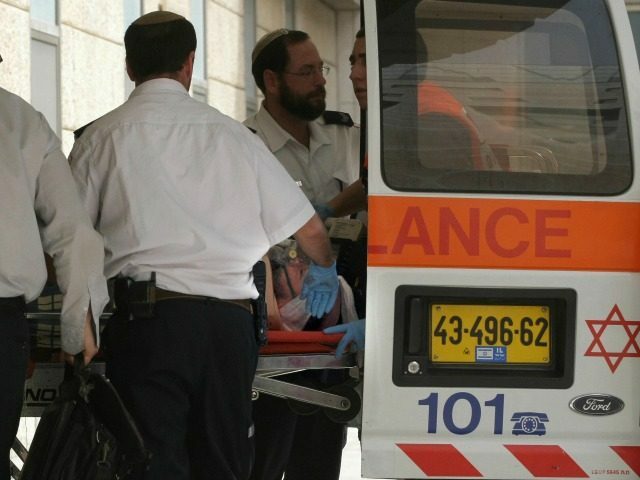 The critically and seriously wounded men were evacuated to the Hadassah Mount Scopus Hospital in Jerusalem, while the lightly wounded man was taken to Shaare Zedek Medical Center, also in the capital.